How do I update the course navigation? 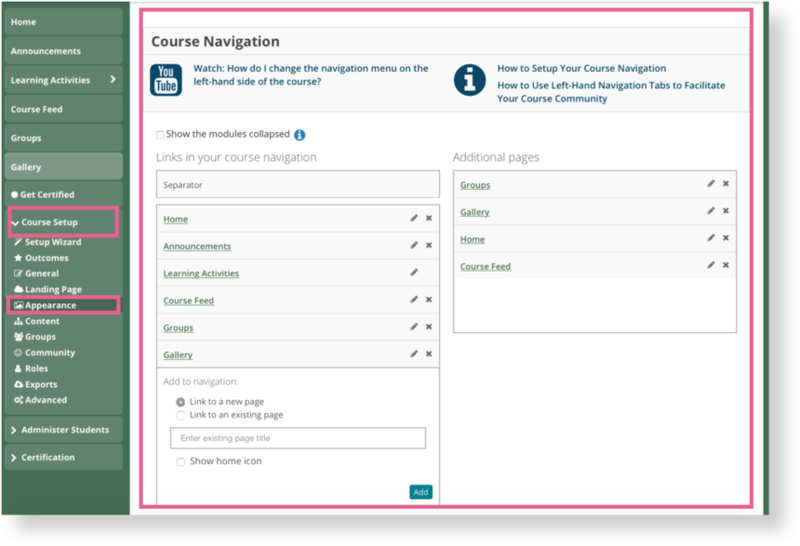 Students can navigate through the course using the sidebar present on the left at all times. You can edit/delete/add/re-order pages in your Course navigation. a. Just drag on each page name to move it if you want to re-order the sequence of pages. b. Use the 'x' or pen icons to delete or re-name the pages respectively. c. You can add new pages by either giving them a title or by adding the URL of a page you might have created before (see bo. You can then go to the page by accessing the Course Navigation bar on the left to add content to your new page. 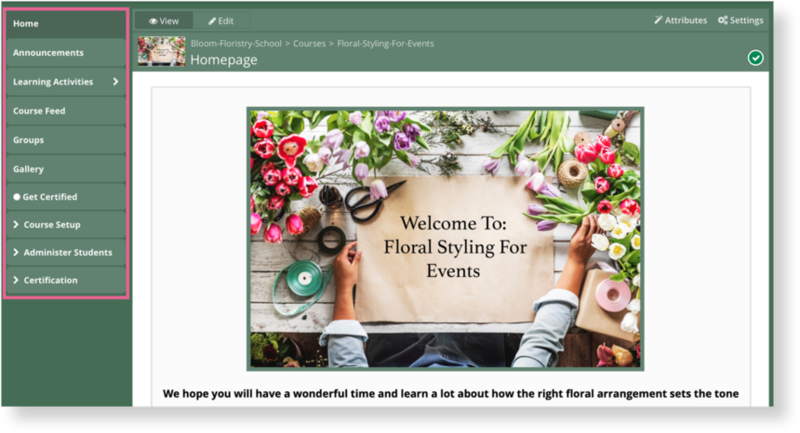 d. Drag a page from the "Additional Pages" column and place it into "Links in your course navigation" in order for it to appear on the left sidebar of your course.